analytics. And you can do it through an interface that anyone can use. At last, your business users can get close enough to the data to manipulate it and draw their own reliable, fact-based conclusions. And they can do it in seconds or minutes, not hours or days. Equally important, IT remains in control of data access and security by providing trusted data sets and defined processes that promote the valuable, user-generated content for reuse and consistency. 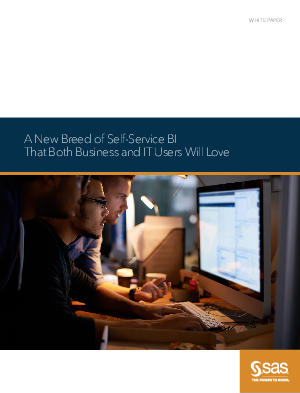 But, they are no longer forced to respond to the constant barrage of business user requests for new views of data or one-off reports and analysis.